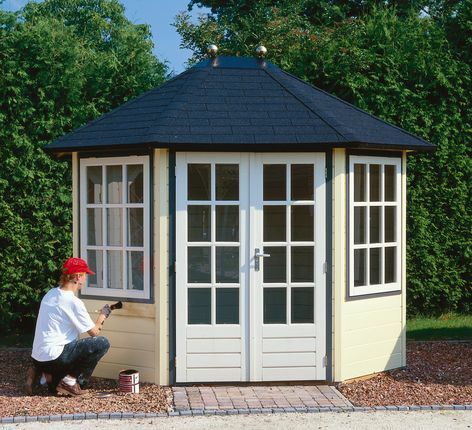 Rianne is one of the Oval Series summerhouses. 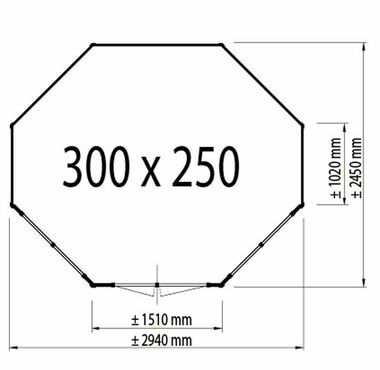 Size approximately 3m x 2.5m in 28 mm log thickness. The standard package includes 2 top hung windows PX44 and a double door PE24. Measurements are taken to the outside faces of the walls.